Everyday or banquet is perfect! 1. 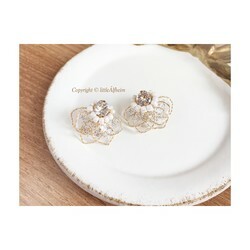 After wearing the earrings, Wipe with a soft cloth and store in the accessory case to avoid residual dirt or oxidative blackening due to contact with air. 2. If there is a lot of water, such as swimming or bathing, it is recommended to remove the jewelry first to reduce the possible oxidative fading caused by prolonged contact. 3. 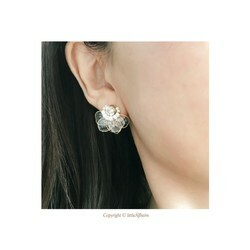 If necessary, use the silver cloth attached to the accessory case to help clean the ear pin. 4. Avoid direct contact with perfume and direct sunlight. 出品数 7,213,695 点 © 2019 Creema, Inc.